The Onion holds the virtues of integrity, courage, and accountability above all others, and after more than two centuries of ethical primacy in journalism, America’s Finest News Source has been rewarded with a company culture renowned for its moral rectitude. 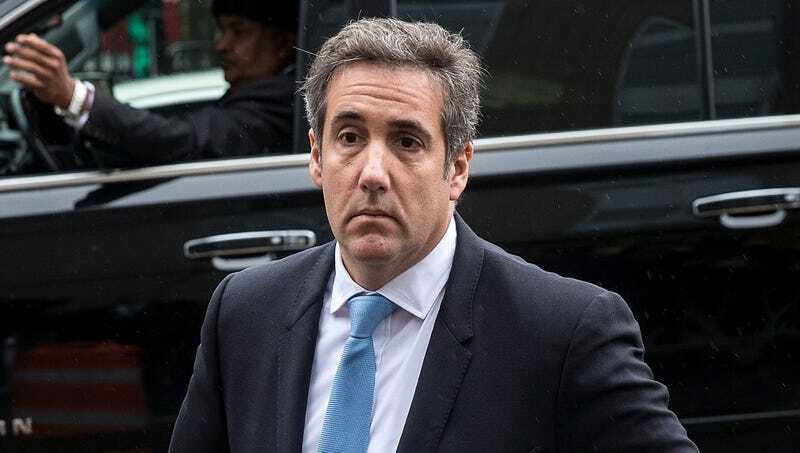 Our editorial board was shocked to learn yesterday that Michael Cohen, a man once deemed worthy of a business partnership with our illustrious publication, had cravenly chosen to betray the president of the United States and go to prison rather than meet face-to-face with The Onion. We have requested multiple times for Mr. Cohen to follow up with his cease-and-desist letter. Regrettably, Mr. Cohen has shown his true colors and would sooner forsake his employer for the last 20 years—the commander in chief who has nobly dedicated his life as a public servant to the American people—rather than brave the consequences of a sit-down interview with our esteemed journalists. Mr. Cohen, the editorial board understands that our dogged pursuit of truth can be intimidating—in fact, we do not deny that our interrogation process would likely destroy you both mentally and physically—but this is no way for a man to act. Then again, perhaps we were foolish to expect more from a so-called attorney who would break his solemn oath to uphold the laws of the land and retreat to the safety of a federal penitentiary rather than meet with our staff. Understand, Mr. Cohen, this matter is far from resolved. Did you really believe you could get rid of us by blocking our organization on Twitter? Did you assume that four walls and a few prison guards could stop us from getting to you? Let it be known, the second you are no longer under the protection of the special counsel, we will be there waiting. There is no place to run, no place to hide. WE ARE LEGION, FOR WE ARE MANY. Hear us, Mr. Cohen, the longer you hold out, the longer you attempt to escape us, the longer and more painful your inevitable demise shall be. That being said, should you wish to atone for your gutless actions, say, by offering an exclusive prison exposé, The Onion would gladly retract these criticisms and submit a glowing recommendation to the parole board of your choice. The decision is yours to make, Mr. Cohen.